Chaya Ben Baruch grew up as Enid, in a Conservadox family in Far Rockaway, New York. 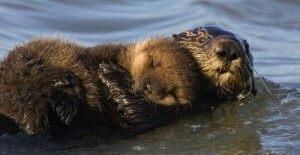 Midway through college, she left that world behind to study sea otters in Fairbanks, Alaska. Fast-forward a decade: Enid is now married to a nice Catholic salmon fisher named Stan. She’s just given birth to her sixth child, and discovers he has Down syndrome. Many parents in her position would be devastated. Some might place their baby in an institution, or put him up for adoption. For Enid, the birth of Angkor started her and her family on an incredible journey—to Tzfat, Israel, and from there to court rooms, hospitals, ultra-Orthodox yeshivas, and wedding halls. And she did it all so she could do right by her child and the other special-needs children she picked up along the way. Listen to "What's Love Got to Do With It?" Tales of love, romance, and the pursuit thereof. Despite the occasional sweet-n’-sour pork at home, Chaya’s family was actually pretty traditional. She attended a yeshivah, or religious high school, where her mom taught. But when she graduated, Chaya, whose name at the time was Enid, kind of rebelled. She didn’t do what her mom had hoped, or what was expected of a girl with that upbringing. You know, getting married to the Sapersteins’ lawyer son, having a bunch of kids, making potato kugels for the kiddush at shul. She just knew that wasn’t for her. So instead, she moved as far away as she possibly could. That’s where our story begins. After Enid’s sixth child, Angkor, was unexpectedly born with Down Syndrome, she decided together with her husband Stan, to adopt another baby with Down Syndrome, Kirin. In Fairbanks, Alaska, where they all lived, it wasn’t easy to raise two toddlers with special needs. They didn’t really have a good support system. So Enid and Stan began searching for a new, perhaps more accommodating, community. They started off by visiting these Christian agricultural communes, where people with special needs are integrated into host families. They even found one place they really liked, in Minnesota, but they were rejected, because they had two special needs kids of their own, and – at least this is what Enid thinks – because they were Jewish. They didn’t really know where to turn next. 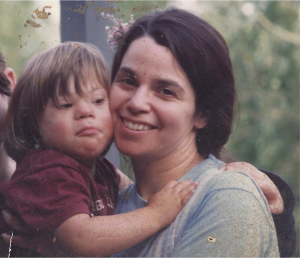 The truth is that everything you heard up until now, about Chaya, Yisrael and their ten children, five of whom have Down Syndrome and four adopted, was just the background to the story that caught our attention to begin with. There’s one final twist. And here it is. Thanks to Cara Ferrentino, Lois Beckett, Daniella Cheslow, Stephen Black, Kitra Cahana, Jodi and Gary Rudoren, Rina Castelnuovo, Me’ira Weiss, Norman Gililand, Basya Shechter, and Avi Heller. As always to Charles Monroe-Kane, Caryl Owen and all the team at Wisconsin Public Radio’s To The Best of Our Knowledge. Our executive producer is Julie Subrin, and Israel Story is produced by Mishy Harman, Yochai Maital, Roee Gilron and Shai Satran, with help on this episode from Paul Rouest, Pejk Malinovski and Ann Heppermann.